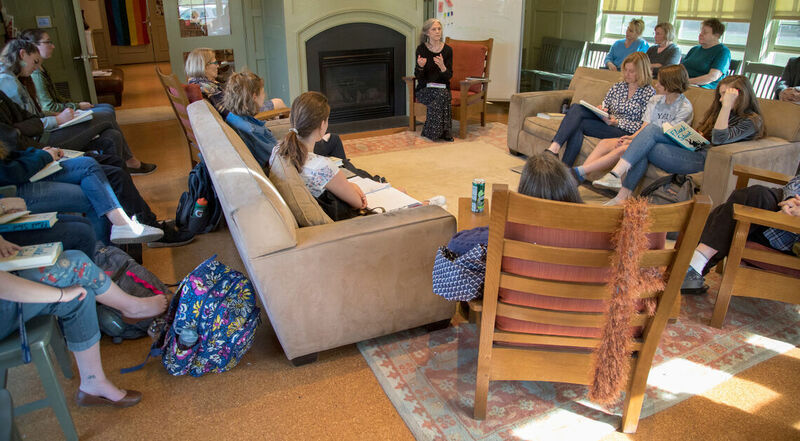 That April 12 evening, the crowd of Hall’s students, colleagues, friends and other community members in the reading room of the Philadelphia Alumni Writers House overflowed to the patio as Hall, who is also founding editor of the Alumni Arts Review, spoke of her time as a Scientologist. “For years, I’d pretended those 10 years never happened,” said Hall. Before Hall joined Scientology, her brother suffered a serious injury that left her in a depression. That realization led her to write the book. “My parents were pretty disapproving of my involvement, as parents should be — now I’m heartsick at how it would have felt for them,” she said. Hall is the author of the novel, “Catching Heaven,” of a book of writing essays and exercises, “Tools of the Writer’s Craft,” and of numerous stories and essays. She is also a playwright and singer-songwriter who performs from time to time in Lancaster. 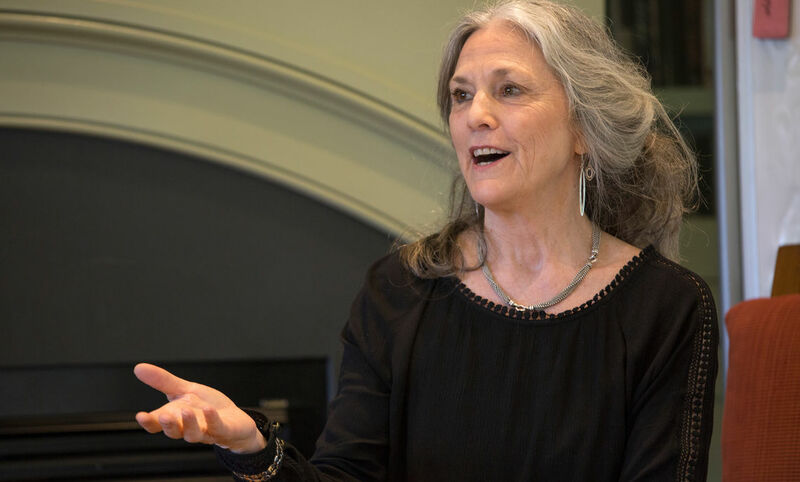 Earlier in the day, Hall gave a craft talk at the Writers House and discussed how she used fiction techniques to write memoir, noting the shifts in genres and the continued importance of conflict, plot and characterization. “We must tell a story — truthful or invented — through scene,” Hall said.